Flowers (which have a faint fragrance) have a very noticeable white stripe down the centre of each petal which gives it a star like appearance at the base when they are fully open. 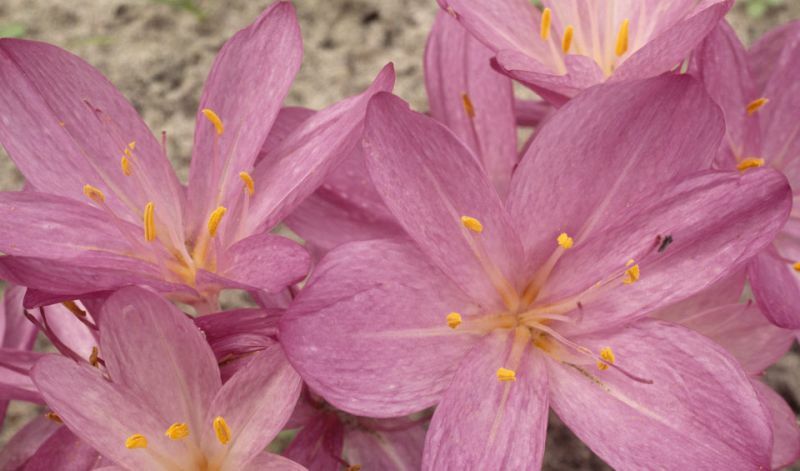 Flowers tend to stand up to weather better than other colchicum blooms. (Besides the species itself); 'Purpureum' (rose-purple).